You are here: Home / Archives for holiday. Winter seems to be the time to pack on the pounds while we hibernate inside during the cold season. After feasting on Thanksgiving dinner, and several days of leftover carb overload, you may be feeling extra bulky. What better time to lose a few pounds than the weeks between two major feasting holidays?! I can happily recollect Holidays past, when some favorite relative mentioned that I looked like I’d lost weight. Who wouldn’t want to hear these words? I think most people would; I know I would! So, kick start your New Year’s resolution to lose weight by getting started RIGHT NOW! It’s simpler than you think. Most people over-think weight loss, and that’s why “miracle diet solutions” make so much money selling you things you don’t need! One of the biggest problem with many diets is that they cost too much! But, if you’re lucky enough to live near an ALDI store, steps 2 through 5 are no problem! I highly recommend ALDI for their fresh produce, which is priced far lower than other stores; and for their selection of whole grain pastas, low-calorie snacks and Better For You brands, including the exclusive SimplyNature, Fit & Natural and LiveGFree. ALDI makes it easy to eat right on a budget! I know it seems like the super secrete answer to weight loss must be much more complicated that these top 10 tips. It has to be! It can’t be something simple or we’d all lose weight! Duh! But, looking around, people are heavier on average than ever before. So, you see, there just has to be some secret to it! Sorry! The truth is, Americans do three things that make them fat: overeat, eat the wrong things and don’t get enough exercise. I know that’s not an exciting answer. But, it’s the simple truth. Here are the TOP Ways to lose weight for the Holidays, or any time! First in any lifelong quest to maintain a healthy weight is portion control. Practice portion control and do not overeat. Did you know that your stomach is about the size of your closed fist? According to Donald St.Claire, MD, at Stanford, the stomach of most adults is about the size of a clenched fist. It can expand up to 3 or 4 times its size during a large meal, but it returns to the size of a clenched fist after food passes into the small intestine. Not to be confused with that old myth that eating less will shrink your stomach – it won’t. Now, look at the three helpings of spaghetti you just ate and compare that to your clenched fist. You ate too much! Also, if you do happen to be counting calories – or are attempting to – the calorie counts on packages are based on a single serving. For example, a serving of cereal is usually between 1/2 – 1 cup. Now, imagine a measuring cup. Your cereal bowl is probably a LOT bigger than that. The average cereal bowl holds 2-4 times a suggested serving size! If you eat 4 servings, you also have to multiply the calories by 4! Cheerios are 110 calories BEFORE you add milk. That’s 440 calories if you fill up your big bowl, and that’s over 1/3 of the calories in a 1200 calorie-a-day diet! And, then you add milk! Heaven forbid you add sugar too!! Don’t even think about stopping for happy hour or going out to eat for dinner, many popular restaurants have entrees that have over 2,000 calories each! Don’t even THINK about fast food. It adds up fast, and it equates to gaining weight. By now, everyone knows you can reduce things to hopefully lose weight. Do you stop eating carbohydrates? Eat only protein? Stop eating sugar? Restrict calories? Avoid fat? With so many suggestions, who’s to know what actually works? The best idea is to start by talking to your doctor. It’s really just a big math problem. Reduce caloric intake (eat less, and eat healthier) and increase caloric output (exercise). 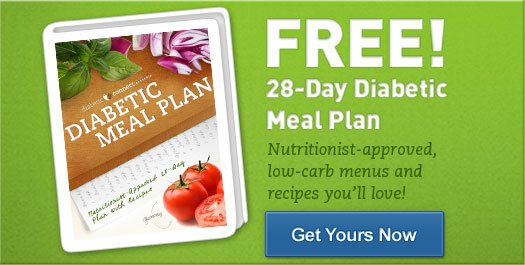 Check out the free MyPlate app and online from LIVESTRONG with an easy-to-use daily food journal and calorie counter! For example, fresh veggies should make up the biggest portion of your meal. Keep your protein lean, and your grains unprocessed and whole (whole grains). Choose low- or non-fat dairy, and use natural sugar substitute to sweeten fruits, if you must. Many people might think eating more fruit is a good thing, but fruits can be loaded with sugar. They’re a good choice for a snack, but as with everything – balance is key. Eating wholesome, non-processed foods is a no-brainer. Look for “whole grains” and stick with simple versus highly processed. A good gauge is whether or not you can pronounce the ingredients! Simple is better! Stevia comes from the Stevia plant, and is a natural, zero-calorie alternative to processed sugar. It comes in many forms, from liquid drops to granules that look and taste like sugar. Some versions have sugar mixed in, and some are not calorie-free. Even they are an improvement over high-calorie processed sugar. When you’re feeling hungry, drinking a glass of water can fill you up and fulfill your hunger. You don’t need to be a rocket scientist to know that, but most people don’t drink enough water. How much is enough? The Mayo Clinic says adequate intake (AI) for men is roughly about 13 cups (3 liters) of total beverages a day. The AI for women is about 9 cups (2.2 liters) of total beverages a day. You don’t have to stick with boring water, but be careful about what you’re adding to it! Most no-calorie drinks have artificial sweetener which can cause all kinds of unwanted side effects. That’s why we recommend flavoring water naturally with Zing Anything – an attractive bottle that allows you to add real fruit flavors to your water. It’s fun, and motivates you to drink more water! Treat yourself, the healthy way! All diet and no sweets is bound to fail, so get your treats the healthy way! Check out the Platino Plus which is a juicer and sorbet maker. It makes sorbet – similar to ice cream – using 100% fruit! It’s super yummy, easy to use and clean up, and you’re not packing on calories. And, best of all, you don’t have to skip dessert! Find Platino Plus on Amazon.com with FREE Prime shipping and in our 2014 Holiday Gift Guide! I’ve failed on more than one diet because I like to imbibe. So, plan ahead and once again with all things, balance is key. The good news, red and white wine has only 100 calories per 5 oz. Never mind that my wine glass holds about 12 oz. 🙂 More good news: 1.5 oz of Scotch has 104 calories, the same amount of vodka 104 calories, while a whole can of light beer has around 108 calories, and a 2.2 oz Martini has 135 calories. Stay away from creamy drinks such as Mudslides with nearly 600 calories, Margaritas can be very high calorie too at 780 calories per 8.5 oz serving, which is why we recommend our easy & cheap Skinny Margarita recipe with zero calories! And let’s not indulge in the super fat Long Island Ice Tea with so many shots of liquor it boasts a whopping 780 calories per 7 oz glass. You’d have to walk for almost 1.5 hours to burn off one glass of Long Island Iced Tea! Wow! The first 8 steps are dedicated to what not to eat & drink. Only one lonely number for exercise. Don’t take that wrong, because exercise is SO important. You don’t have to be Zumba goddess to get a good workout (unless you want to!) If lower impact is better for you, start small. Try walking around more. Get yourself a WeGo fitness tracker (available on Amazon and also featured in our 2014 Holiday Gift Guide) to count your steps and motivate you to reach your goals. Don’t have time to get fit? Convert your treadmill into a workstation with our DIY Treadmill Desk hack! You can start your kids in a lifetime of loving exercise with this awesome ABCs of Yoga for kids. It’s also a great way for grownups to learn yoga with their kids! Get in the spirit of yoga with super cute GAIAM yoga clothes (also featured in our 2014 Holiday Gift Guide)! Or, if you just want to hit the trail for a jog, check out the Jog.fm app which will select music for you based on your pace. Sure, they’re kind of funny looking, but they taste SO sweet and yummy! Sweet potatoes are highly nutritious and are loaded with antioxidants and even have anti-inflammatory properties. They are a good source of complex carbohydrate, beta-carotene, manganese, vitamin B6 and C as well as dietary fiber. The spinach and cranberries add to the flavor and also to the health benefits! So, put your microwave to use and bake up some super good and good-for-you Cranberry Stuffed Sweet Potatoes! This recipe will take you less than 15 minutes from start to finish and your dinner guests will think you’ve slaved over a hot oven for hours. It’s a very inexpensive meal item, I paid just 69 cents apiece for these, and you can find them at your grocery store all year round.